When is No. 26 finally going to walk through the doors? 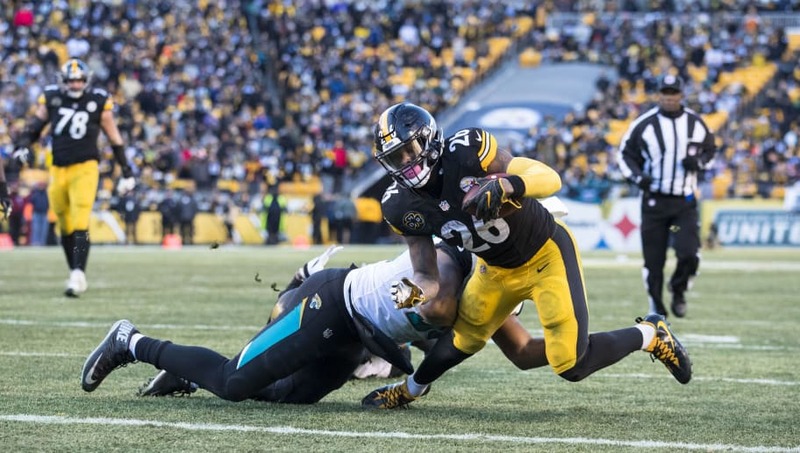 Throughout the past few days, multiple reports have come out stating star Steelers running back Le'Veon Bell would show up to practice on Wednesday. However, things ​have hit a bit of a snag. After Ian Rapoport reported on Tuesday night the 6-1, 225-pounder would be in the house today, a new update out of Pittsburgh has surfaced, and it's not encouraging news for the team or fans. As everyone knows by now, Bell turned down a ​five-year, $70 million deal from the Steelers this offseason. His holdout hasn't been much of a surprise, as he stated he'd return to the team by the start of Week 1, similar to last year. But, ​the longer he holds out, the less likely it is he'll be able to see significant time on the field come Week 1 against the Browns on Sunday. Bell had another brilliant campaign in 2017, rushing for 1,291 yards and nine touchdowns. He added 655 yards and two additional scores through the air. With rookie standout James Conner expected to take the lead as the starting RB this weekend, Pittsburgh remains confident in its offense and the potential to take down the Browns on the road. Right now, it's looking like they'll have to do so without Bell getting a good amount of touches. For everyone involved, though, they'd like the superstar to get his rear inside the team facility ASAP.